This unusual column is entirely made of iron and is located in the city of Delhi. Its age is estimated at 1600 years, but, in spite of this, there are no traces of rust on its surface, as is often the case with iron products that are in the open air and not coated with anticorrosive compounds. The iron column in Delhi is 7 meters high and almost 100% pure iron. A detailed analysis of the composition carried out by Indian specialists showed only a small (less than 0.5%) content of nickel and phosphorus in it. This column has a very interesting history. The fact is that she was not always in Delhi, on the territory of the Qutb-Minar complex, but was transported there from the city of Mathura. But the exact date of this event is unknown, presumably it happened in the XI-XIII centuries. It is believed that the iron column was built in 415 in honor of Chandragupta II - the greatest ruler of the Gupta state, which existed on the territory of modern India. Initially, at the top of the iron column was a bird sculpture, but by now the column has lost its decoration. But for centuries the supported myth of the miraculous anticorrosive parameters of the alloy was dispelled by detailed study. 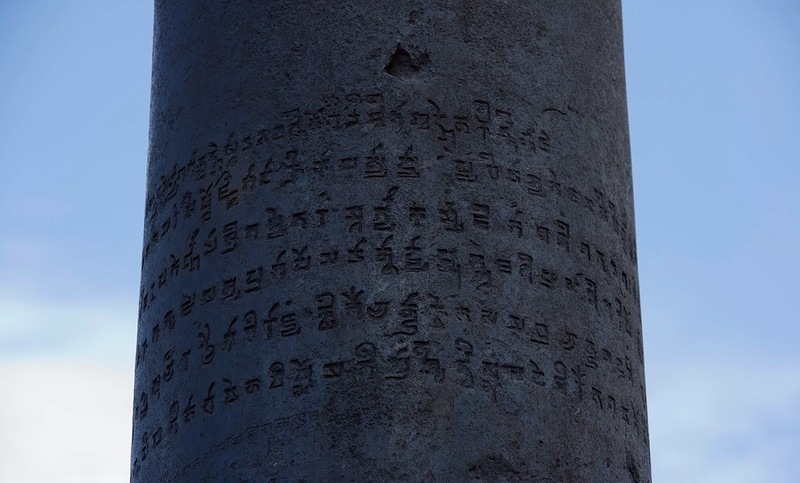 It turned out that part of the column, which is underground, is exposed to the moisture contained in the soil, it is preserved much worse and is eaten by rust. But the aboveground part, in the opinion of specialists, has survived 1600 years without significant damage, due to several factors. The main reason is the oxide film that formed on the surface of the column, making it chemically inert to atmospheric moisture. The formation of this film was facilitated by particles of phosphorus, which was detected in very small amounts in the composition of the column. In addition, in Delhi most of the year is dry and hot weather, and significant precipitation is only from July to September, so the top of the column is in contact with moisture for a short time. It turns out that no miraculous composition or technology of ancient masters researchers in the iron column was found, but they saw only a chain of facts that all together led to the creation of the myth of a stainless column. Today around the famous iron column there is a fence: too many people wanted to touch it, because it was believed that hugs with a column bring happiness and fulfill desires. Nevertheless, it remains one of the places of Hindu pilgrimage, as well as a popular tourist attraction of the old part of Delhi.